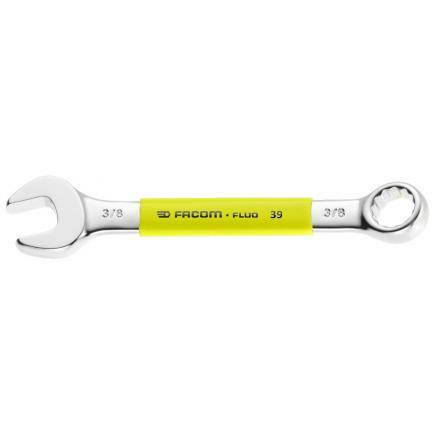 • Detect the tool thanks to its fluorescence, activated by a lamp or UV neon light. Detectable in black or dark environment up to 5 meters. 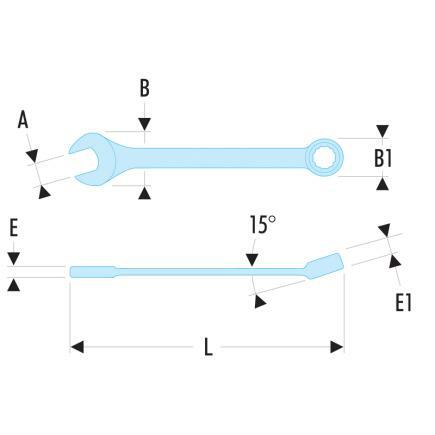 • Short combination wrenches: the short handle and compact head allow for high handiness. Ideal for confined access. • OGV® profile with 12-point ring for powerful tightening while protecting the nut. H suffix = 6-point ring. • Ring head angled at 15°. • Open end head angled at 15°. • Dimensions in inches: from 1/8" to 1/2"..
• Presentation: satin chrome finish.